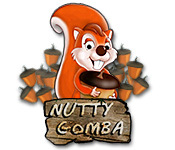 Nutty Gomba needs enough nuts to survive the winter! 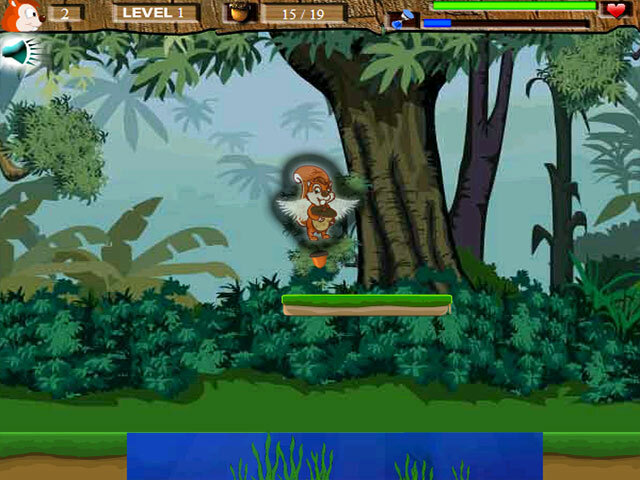 Help him navigate jungle perils and find acorns in this funny online game.Help this squirrel collect his nuts!Nutty Gomba needs to collect enough nuts to survive the cruel winter. 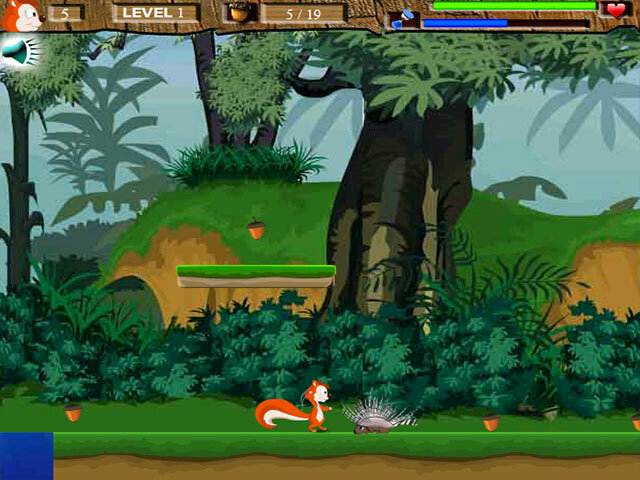 Help him navigate the dangerous jungle and collect acorns in this adorable online arcade game. 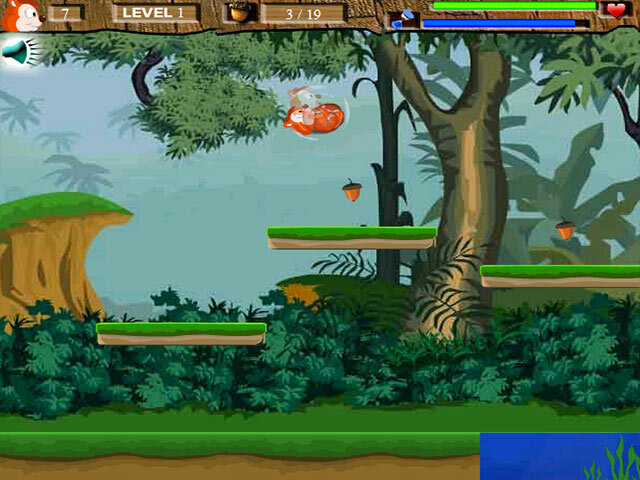 Use the left and right arrow keys to move and the up arrow to jump. Press space to throw a nut at one of the nasty predators. Hurry, winter is fast approaching and time is running out. Are you nuts enough to take up this challenge?